Help us spread the word about CANVax with your networks and communities. 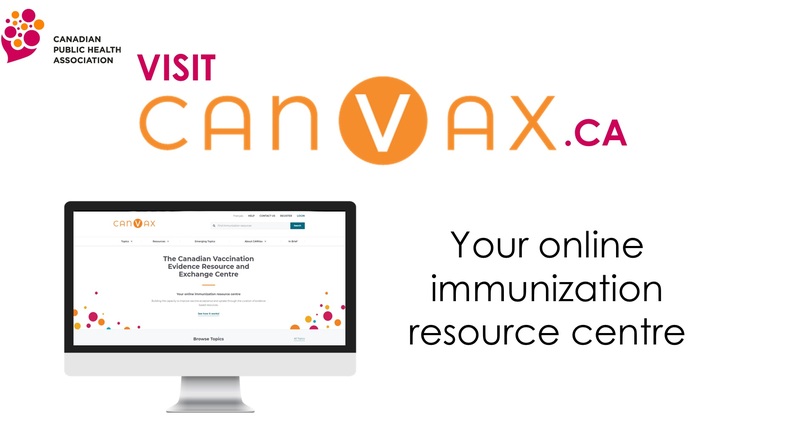 Use the promotional kit below to increase awareness of CANVax to ensure all public health professionals have access to resources that can inform their work to improve vaccine acceptance and uptake. Engage. Be a part of the conversation. 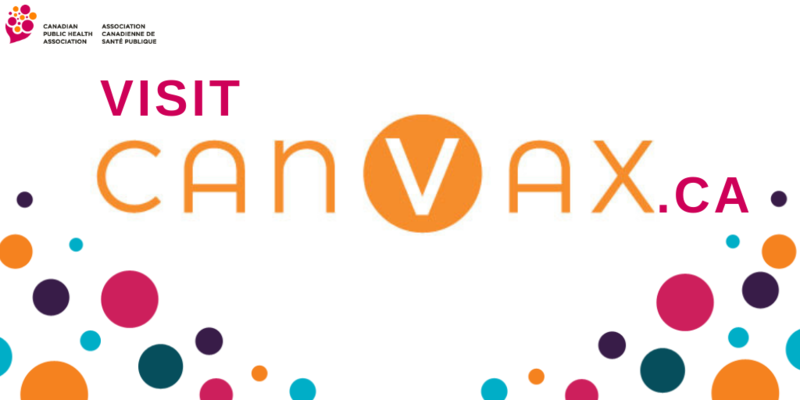 Join CANVax and connect with others and resources that will inspire your work to improve vaccine acceptance and coverage. Find the resources that matter to you on CANVax. Use the resources to guide your program and policy decisions and build the capacity to improve vaccine acceptance and uptake. Adopt, Adapt and Exchange. 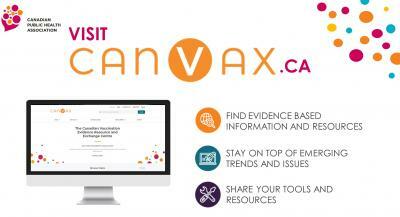 Let others in the immunization community know how you used or adapted a resource on CANVax – what worked, what didn’t. 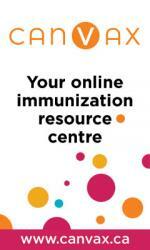 Be a part of the conversation to improve vaccine coverage in Canada. Contribute. Share your resources with CANVax. 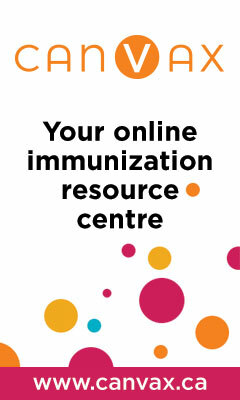 When you share your resources and best practices with the immunization community, you support knowledge exchange. 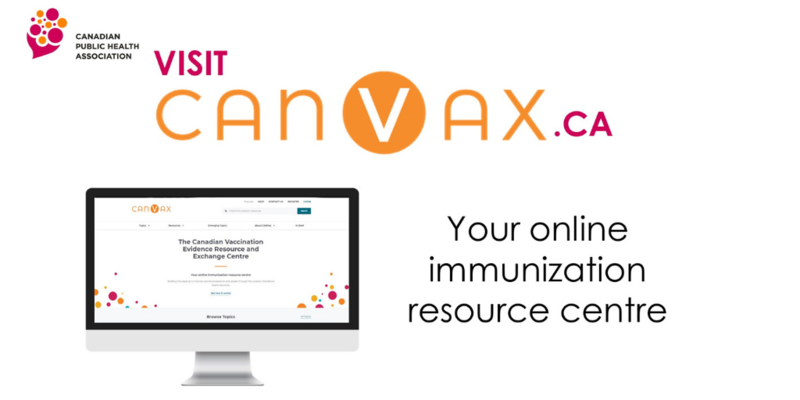 Send your colleagues and network an email to let them know about CANVax and its resources. Promote CANVax on your website, using these banners. Add CANVax to your upcoming newsletter using the text and image below. 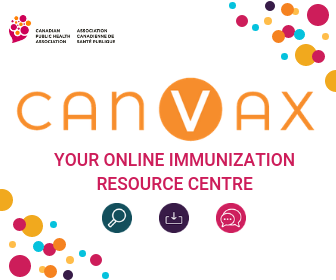 CANVax is the first online database of its kind in Canada to support immunization program planning and promotional activities to improve vaccine acceptance and uptake in Canada. 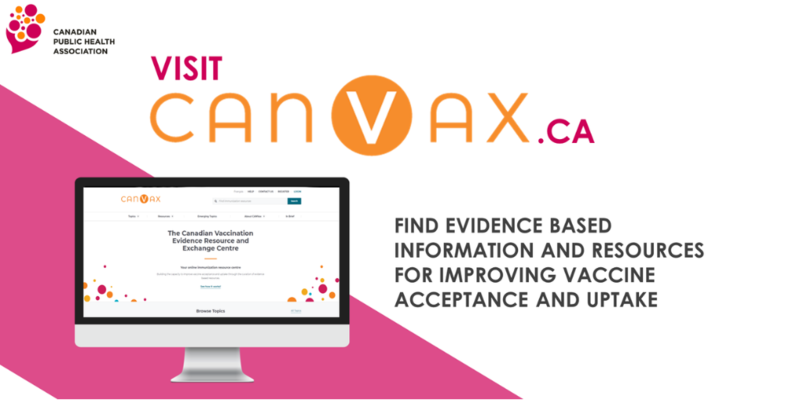 CANVax houses a collection of curated evidence based products and resources to make it easier for public health professionals to access and gather resources to inform activities aimed at improving vaccine coverage. Follow CANVax on Facebook and Twitter, like and re-tweet posts we share. Need ideas to tweet and post about CANVax? Use our template to tweet and post or inspire your own messages.